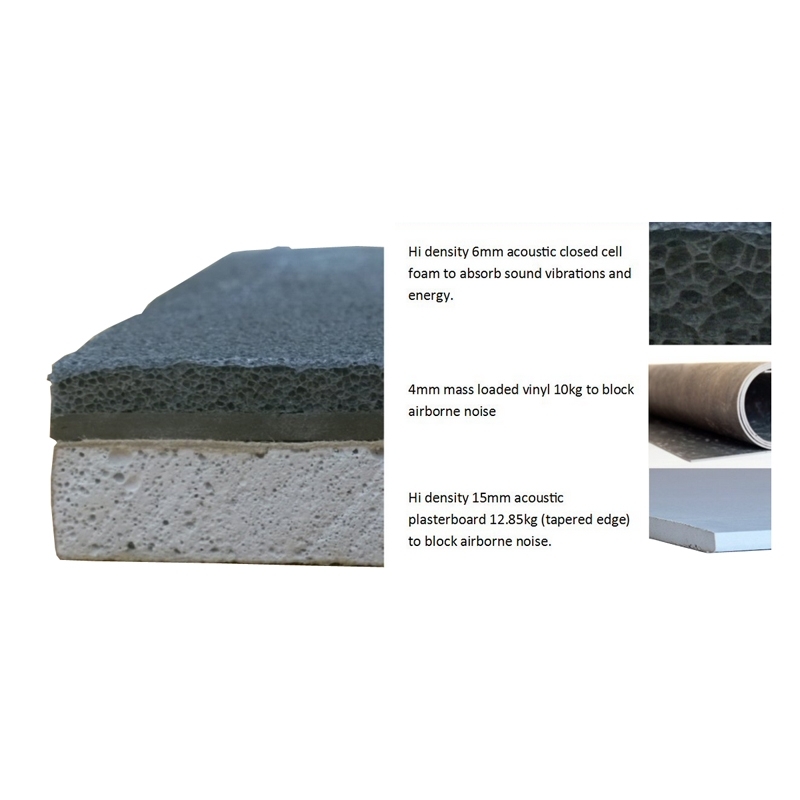 SoundBoard 3 is a direct to wall acoustic soundproofing board, ideal for blocking out muffled conversation in adjoining rooms or background TV/music noise. It is a high density gypsum based board, that is higher in mass than standard plasterboard. 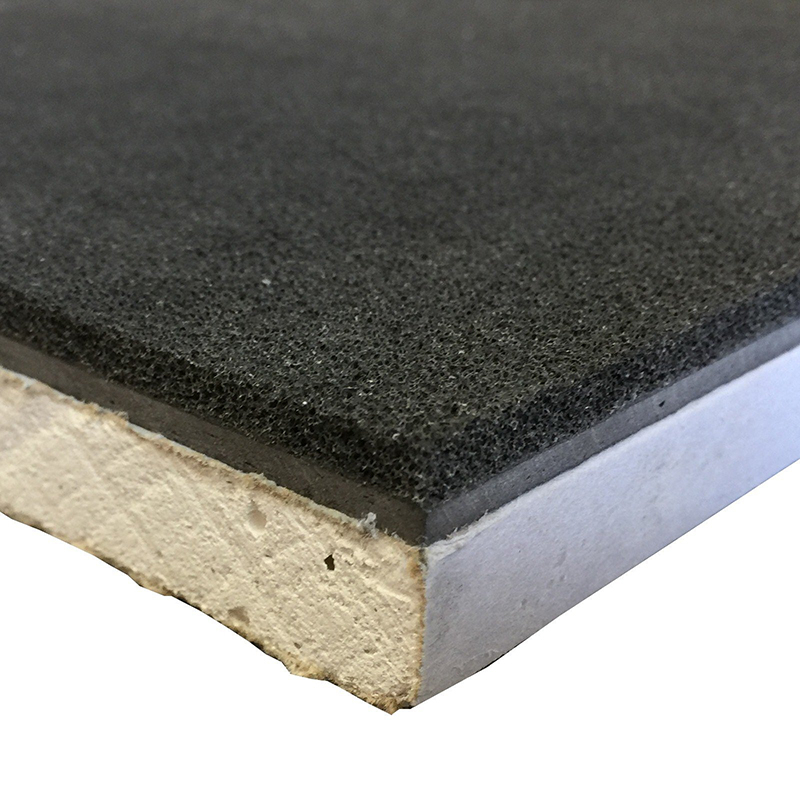 At 23.83kg per board and with its 3 different layers of soundproofing laminated together, SoundBoard 3 adds mass to your wall and a dampening layer to prevent the sound energy/vibration travelling through. Whether you are a competent DIY enthusiast or plan to use a local tradesman, the SoundBoard 3 is an easy to install system and can be applied direct to any level/flat surface with 9 fixings per board, leaving a 5mm gap around the perimeter and then sealed with an acoustic sealant around the perimeter to prevent flanking vibration. (43-45mm drywall screws). The final layer of acoustic plasterboard means that this board will be ready for a final decoration. We recommend you use the acoustic sealant around the perimeter of the board to prevent any points of potential sound leakage and the applicator gun for use with the sealant. As each board weighs 23.83kg, and will therefore require two individuals to lift. Also, due to the weight of the boards, you may wish to first seek the opinion of a structural engineer to see if the these boards are suitable to be used with the existing structure. 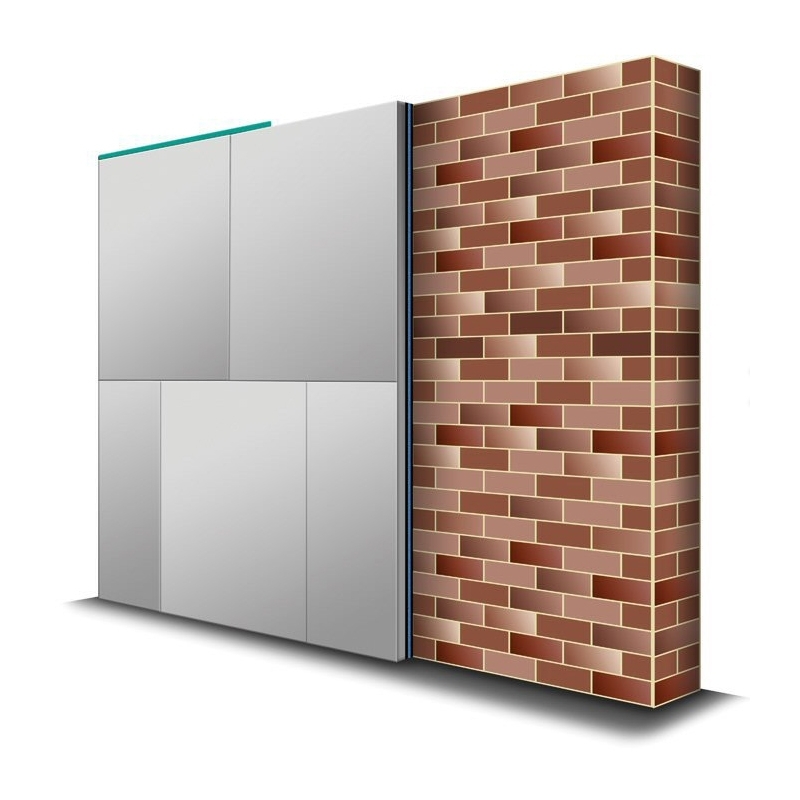 Single brick wall with SoundBoard 3 24mm mechanically fixed with 9 screws per board. 50mm stud frame with 15mm acoustic plasterboard on both sides and 50mm RW3 mineral wool between studs and SoundBoard 3 on one side only.